Geve is an electronic dance music DJ/Producer from Mount Lavinia, Sri Lanka. He is a founding artist of local soundsystem and audiovisual collective Bang Bang. Since 2010 he has performed music that could be categorized into deep, progressive, spooky and groovy sounding. He is a founding artist of local soundsystem and audiovisual collective Bang Bang and a vital component to their good reputation in sound quality and innovation. Well known for laying down deeply engaging and technically proficient DJ sets, Geve has been featured in all of Bang Bang’s EDM party catalogue events. 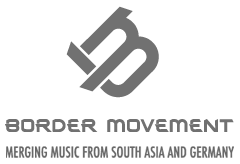 The Pettah Interchange series initiated by Border Movement, Music Matters Festival and Atman Tribe Festival Sri Lanka are among numerous events that have showcased his unique performances at. With a very critical attitude towards music making, Geve has been producing since 2012. This summer Jambutek Recordings is to release his first original EP ‘Pillow Flight’ which they’ve called “two eccentric and intriguing slices of atmospheric dance music that try hard to resist being pigeonholed by style or genre”.